Bristol JLD and Chadwick Nott invite you to our Approaching Qualification NQ Seminar on Wednesday 22nd April 2015 from 6pm for a 6.30pm start at Thrings, The Paragon, Counterslip, Bristol, BS1 6BX. The evening will involve a short presentation by Chadwick Nott & a Thrings Partner providing advice on qualifying and what to expect as a NQ solicitor. There will also be a Q& A session with the opportunity to chat informally and confidentially with the speakers with complimentary drinks and nibbles. Places are limited. 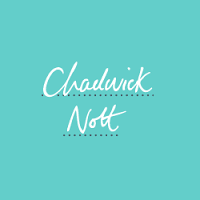 To reserve yours please contact Rebecca Doye on 0117 925 9962 or email her at rebeccadoye@chadwicknott.co.uk.